I found a new water bottle last week. A recyclable, reusable, convenient and scrap water bottle. It was not being used for anything else. At first I worried about carrying and using a glass water jug. Then I remembered, way back when I was a baby, all the baby bottles were glass. Didn’t seem to hurt us much. My new portable water container is easily washed for reuse and has a lid to keep the liquid from spilling. All it needs is for me to make a cozy for it to keep the drink cool. The cozy will also act as a container to hold the broken pieces should I drop my new water bottle. It comes in several sizes, I prefer the pint. It’s easier to hold and isn’t too heavy when filled with ice and water. Yes, my red-neck water bottle is a canning jar. Most people use canning jars to preserve food for the coming winter. That is a good purpose for them. But, the extra jars that don’t get used, or one bought with food in it that isn’t safe to reuse as a canning jar is a scrap jar and makes a good water bottle. I’m not the only one who thought of using a scrap jar as a new, cool on-the-go drink container. Kara over at Kara’s Party Ideas used the metal jar ring to old an inverted cupcake liner place on her jar. She then poked a hole in the cupcake liner and insert straw. Viola! She used these recyclable, non-spillable, drink containers for a three-year olds birthday party. Jasie from Fine and Feathered, added a hole and washers to the metal lid of her water jar to hold a straw. Me? I just add the plastic lid to mine jar, and remove it for drinking. Although, the straw ideas sound good, I may borrow them too. 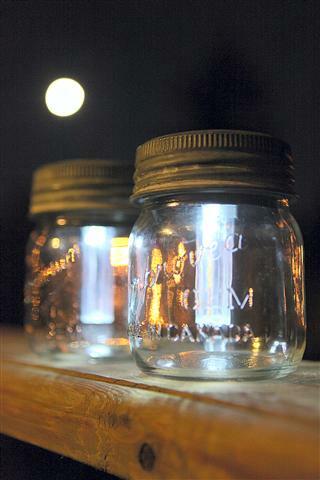 There are other ways to use scrap jars too. Garden Therapy used scrap jars to make solar lights. What do you do with your scrap jars? This entry was posted in 31 Days, Devoted to Quilting, fun and tagged bloggers, devoted to quilting, entertainment, food, friends, glass water jug, travel, vacation, water on October 4, 2012 by Nita. Joining up with Lisa Jo at The Gypsy Mama and Five Minute Friday. “Focus on the moment,” I told myself repeatedly. Focus on the good things. Focus on what you have. I tried. Really I did. The stupid internet and my computer didn’t make it easy. It seemed every site broadly proclaimed the day as Sep. 12. I didn’t think to take the calendar off my desktop. So every time I logged on to write, or play a game, there it was front and center, the date, Sep. 12. Of course, the fact that the historic date of Sep. 11 was discussed, and memorials mentioned everywhere, on television, on the radio, and of course on Facebook. Sep. 11, was bad for all of us. Too bad Sep. 12 follows it. Today is Sep. 14; I will focus on my grand-daughter, whose birthday is today, two days after her grandpa’s and her brother who will turn 3 on Sunday. The twelfth is past, now it is easier to focus on the good things of life. The things I wouldn’t have had, had he not been born. Now, I can celebrate his birthday. I can focus on the good of knowing him, being married to him, and yes, fighting with him. Now, the focus can be taken off the hole he left in my heart and life when he went to live with the angels. This entry was posted in Devoted to Quilting, family, Five Minute Friday and tagged Blog, bloggers, devoted to quilting, entertainment, family, five minute friday, friends, media, travel on September 14, 2012 by Nita. Finding readers for our blogs and meeting new people is often tricky. Why not have, or attend a party? After all, who doesn’t like a party? And, if the party will help you find new friends, readers, and customers, it’s the best kind. Plus, you don’t have to get all dressed up and drive to these parties. They’re held online. Sweet! What kind of party does all that? A Linky Party. No, it’s not a party with different chain links. It’s a party with blog links. A place where bloggers can meet, share information about their blog, and find other blogs of similar interests. All this sharing creates more traffic and new readers for everyone. Linky parties are sometimes called a Blog Carnival, Blog Hop, even a Meme. Whatever they’re called, they’re fun and help you meet new readers and friends. There are link parties for every type of blog. Since I’m a writer (mostly inspirational, faith-based writing) and a quilter, writing, inspirational and quilting posts those are the parties that most interest me. Here are a couple of writing linkies. Unfortunately there doesn’t seem to be one blog or website to serve as a landing-place for other author or inspirational blogs that also host parties. If you have, or know of a blog with a linky party for writers in general and/or inspirational writers, please leave the URL in the comments section. First up on the Linky tour is Lisa Jo, also known as, The Gypsy Mama, Lisa sponsors Five Minute Friday, a party for bloggers write on the prompt she provides for five minutes, no over-thinking, no editing, posts on their blog, and link up with her. Lisa Jo is both an inspirational blogger, and an author blogger. Her prompts generally lead to inspirational posts. Next up is Madison Woods and her Friday Fictioneers. For this party, bloggers write something based on a photo Madison posts. Did I mention it’s fiction? Another writing party is the Six Sentence Sunday, held by Carol Shenold on her website. For Six Sentence Sunday she invites authors to leave six sentences from their work, on their own blog, and then leave their blog address in her comments section. The six sentences can come from a recently published book the author is promoting, or six sentences from a WIP (work in progress). Bloggers’ choice. Crafting and sewing blog parties seem to be all over the internet. There are at least three blogs, The Blog Guide Book, The Well Crafted Home blog, and Carol’s Homework; Today’s Assignment, Be Inspired, that list linky party blogs on their blogs. Two of the blogs listed are: Sumo’s Sweet Stuff and Free Pretty Things for You. Sumo’s Sweet Stuff has, Market Yourself Monday. A blog party for crafters to link up their latest projects, attract new visitors to their site, and visit other blogs to get some inspiration! Free Pretty Things for You has, Whatever You Want Wednesday, a party for DIYers and Crafters to post, well, whatever they want. There are a few rules, every party has its own guidelines. If you can’t find a party, blog hop, carnival, or meme you like, why not start your own? Liz the Party Girl, and her husband, Doug the Master of Ceremonies work together on their blog It’s a Blog Party: Celebrating Blogland, have an entire series on linky parties. 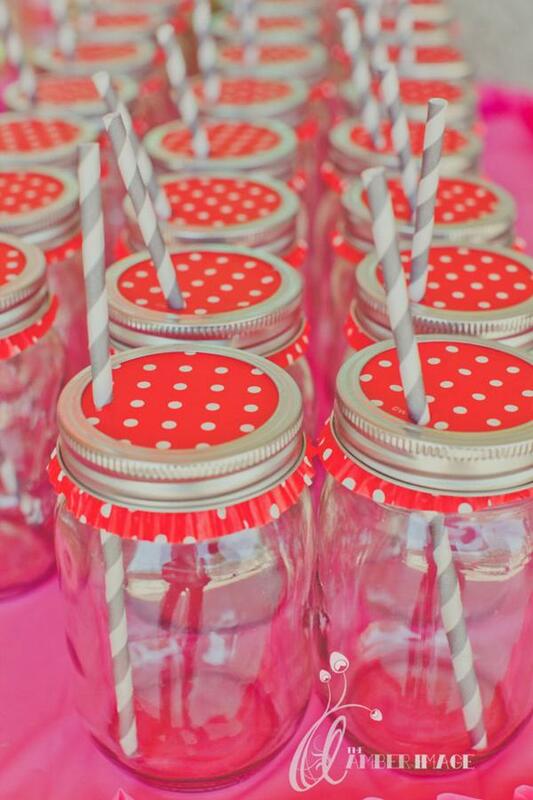 Have you tried a Linky party? 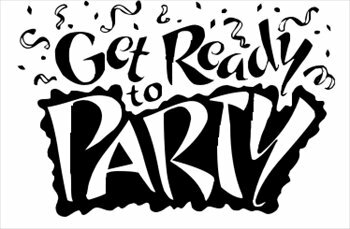 Feel free to share your party experience with us as well as any parties you support or sponsor. Stop the Presses! Another “party”. Ok, “stop the presses” is cliche, and that was the prompt yesterday at Joe Bunting’s blog, The Right Practice. Since writers, like everyone else, need practice, he posts a prompt/story idea six times a week for his readers to use for fifteen minutes of writing.Yesterday’s prompt was to write using cliches. Results of the exercise can be posted in the comments section, which will attract readers to your blog, or you can just comment with a link to your blog. Either way it’s a win-win (isn’t that another cliche?) you get to practice writing, thus improving your writing skills, and your attract readers to your blog, and build your blog community. This entry was posted in Blog Hop Party, Devoted to Quilting, Monday Marketing and tagged author, Bible, Blog, bloggers, books, devoted to quilting, entertainment, five minute friday, friends, God, quilt, quilters, travel, vacation, writers, writing on July 2, 2012 by Nita. I know I’ve been MIA this week, I had planned to take the entire week off and not blog until Monday, March 19. This week was supposed to be devoted to building a website, and making this blog look nicer, and better represent me. Since I’m not having much luck on either front and, Michele/Mishka is doing it again, organizing a blog hop, I’m back sooner than planned. This Hop is especially nice because it celebrates St. Patrick’s Day. As a child I wasn’t fond of this day. However, as an adult I’ve come to enjoy the day and celebrate the greenness of the month. I had so much fun on the last blog hop, met some great people, made new friends, and Michele does an outstanding job organizing these events. Naturally, when I learned she had another one in the works I wanted to participate. When she’s not working on blog hops, she maintains the Quilting Gallery site which includes so much more than I can list. If you’ve never been to her site, please check it out. For my part in the hop, I will be offering a set of five quilted postcards, as well as a copy of my book. Your choice, print or an E-copy. All you have to do is follow this blog, simple. The post cards aren’t made yet, but I’ll come back and post a picture of them once they’re finished. The book, of course, is ready to go. All you have to do is sign up to follow me, if you’re already a follower, just leave me a note in the comments to let me know and I’ll add your name to the pot. All new followers will have their name added. You can find the rest of the partying bloggers here. Have fun, and good luck. This entry was posted in adventure, Blog Hop Party, Devoted to Quilting and tagged Blog, book, celebrities, devoted to quilting, entertainment, friends, quilters, travel on March 16, 2012 by Nita.